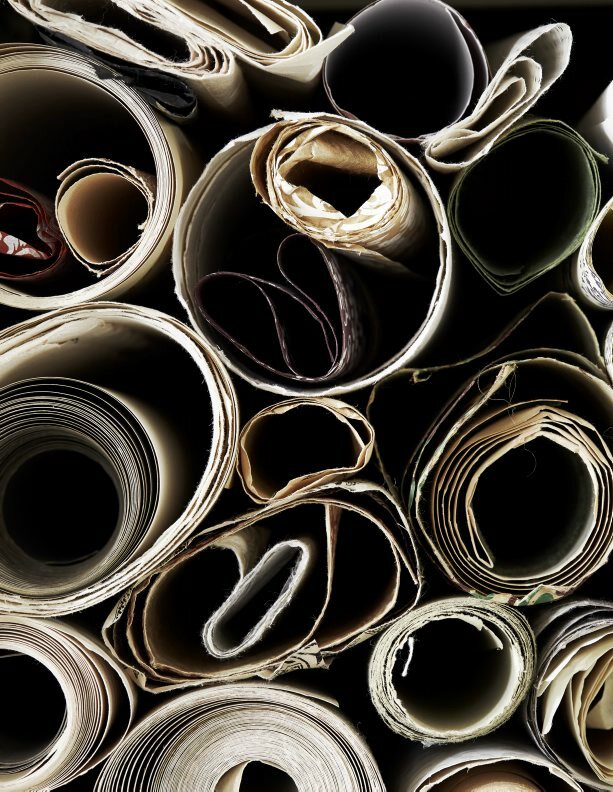 Get ready to be captivated by a level of luxury and high end installation in hotel fit-outs without peer. The newly launched Jackalope Hotel, nestled within the picturesque Willow Creek Vineyard, is situated just an hour’s drive from Melbourne on the Mornington Pensinsula. The name Jackalope is a creature of legend best described as a rabbit with horns, a portmanteau of “jackrabbit” and “antelope”. The hotel bar, Flaggerdoot, is the collective noun for a group of Jackalopes, while the fine dining restaurant Doot Doot Doot is also known as the leader of a Flaggerdoot. Comprising 46 luxurious rooms and a 30-metre infinity pool, the hotel boasts boldly curated art commissions and installations incorporating a whimsical approach which was achieved by collaborating with some of the world’s leading designers to create the overall vision. The moody interiors are clad in dark zinc with charred timber and black metal detailing. Floor to ceiling windows and private terraces connect guests to the picturesque surrounds. Bathrooms include black Japanese tubs, double vanities and bath products made exclusively for the hotel by Hunter Lab. 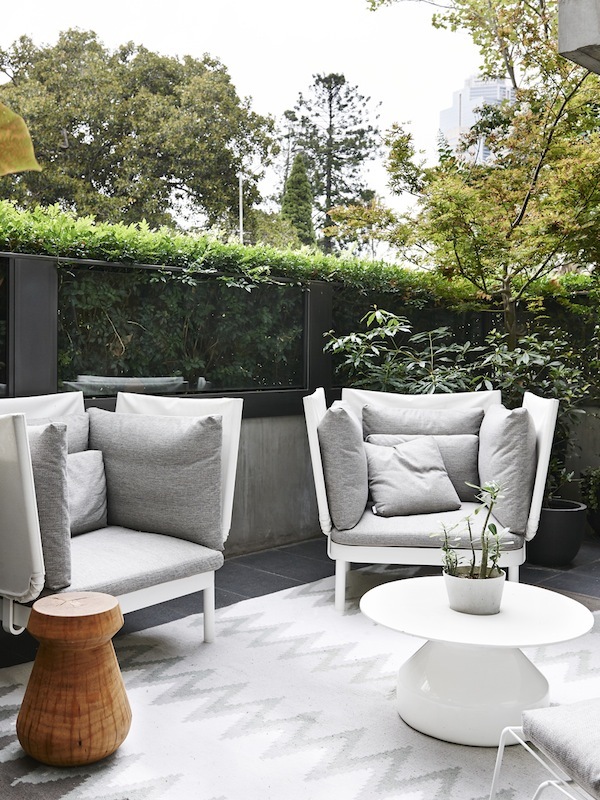 Melbourne designer Zuster have provided the furniture. Owner Louis Li purchased Willow Creek Vineyard in 2013, along with the Maria George Building in the Melbourne CBD, which is earmarked as the site for a second property under the Jackalope Hotels umbrella. The new FRAMED mirror designed by Norway’s Anderssen & Voll for Muuto is suitable for multiple purposes sitting beautifully in the bedroom, living areas and bathrooms. Perfect as a stand alone piece or grouped together as a mirror gallery installation, these mirrors are available in grey, rose and taupe (or silver, copper and bronze). 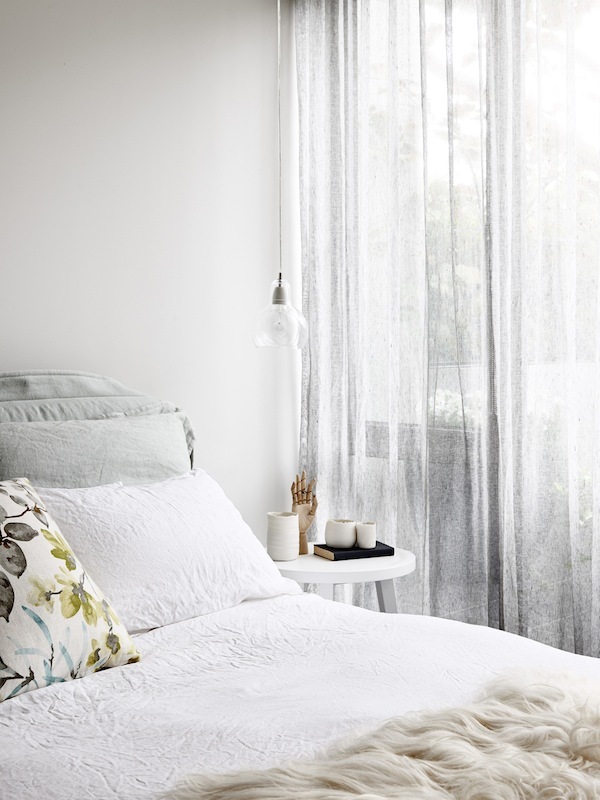 These beautiful photos of norsu interiors 2016 collection campaign styled by Michelle Halford of The Design Chaser were captured by Lisa Cohen. 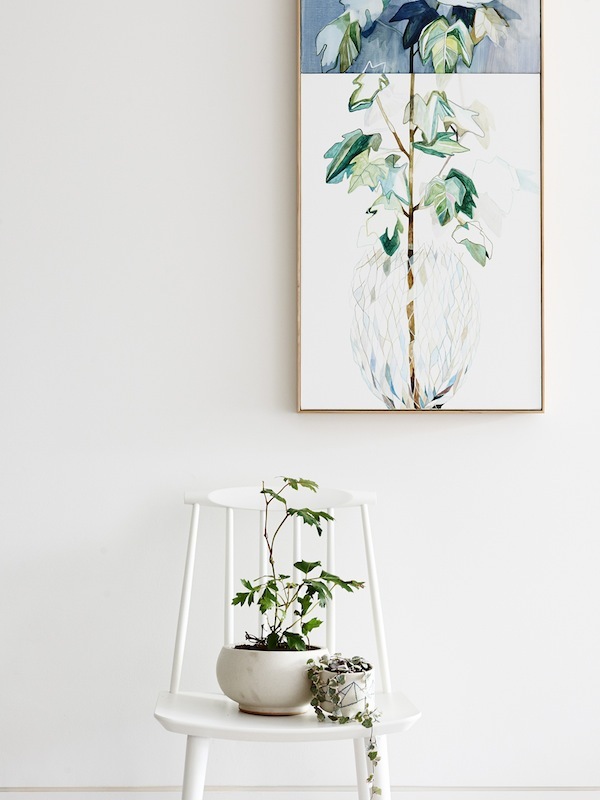 Images show different interior spaces in norsu‘s signature pastel colour palette, styled with the boutique’s carefully curated collection of Nordic homewares and diverse range of art prints. The collection also features several images shot in a Scandinavian ‘boho luxe’ style, reflecting a new direction norsu is taking since announcing their partnership with iconic Swedish designhouse Love Warriors of Sweden earlier this year. 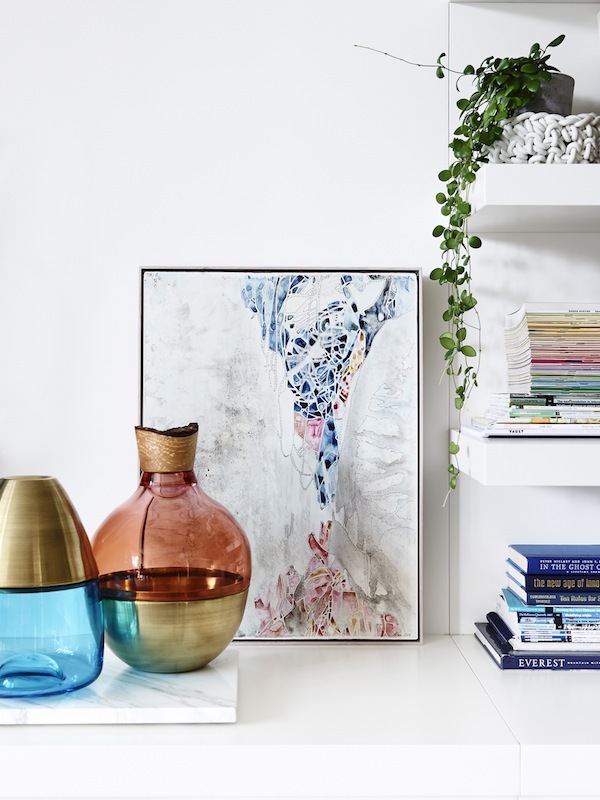 The release of this collection coincides with the opening of their second Melbourne retail store in Hawthorn next month which will compliment their existing Malvern East store by providing a space to showcase furniture, rugs and art within a styled insitu environment. 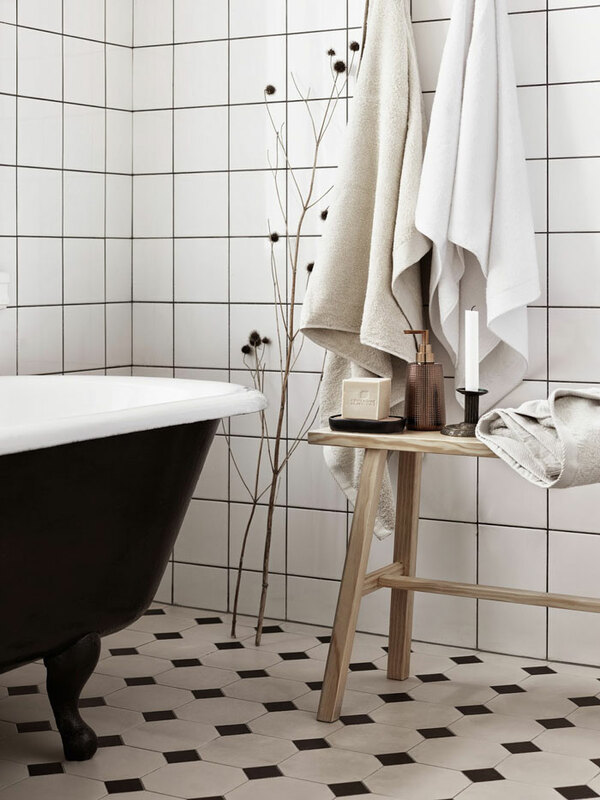 This gorgeous turn-of-the-century apartment, built in 1906 and located in Linnéstaden in Gothenburg, Sweden is for sale by Stadshem Real Estate. 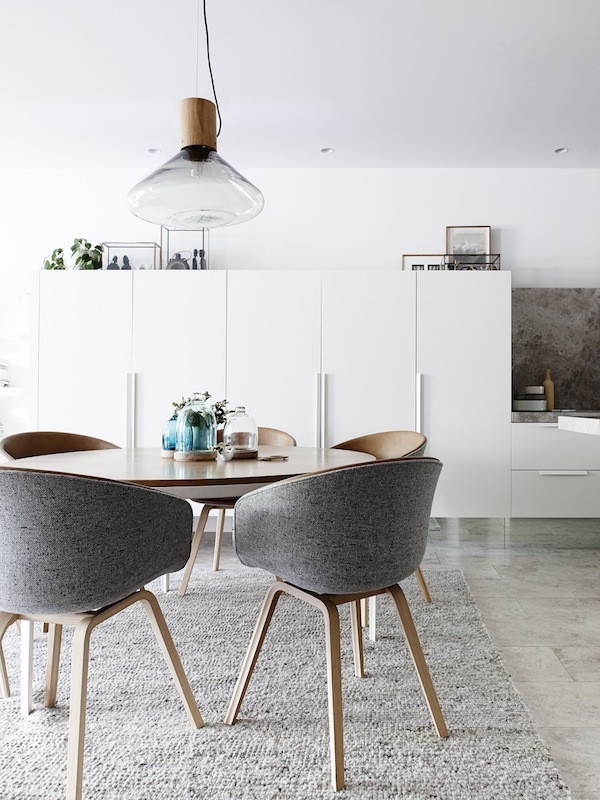 Beautifully captured here by photographer Jonas Berg this light-filled home is immediately appealing with its monochrome palette and gorgeous mix of designer furniture, art and lighting. Currently under bid I’m sure by the time you click on the website it will be sold. In love!! This quaint little boathouse is located by a lake in Norway. Its owners, Gunn and Finn spend their summer vacation here. Surrounded by stunning views, this gorgeous summer house has been furnished with relaxation in mind with its neutral palette and natural textures. 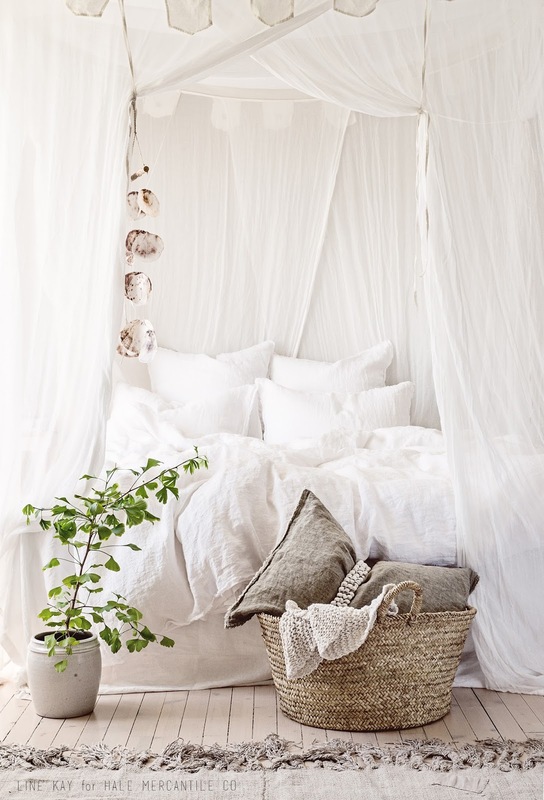 An eclectic collection of pieces from their travels sit perfectly within the spaces to create a tranquil haven. 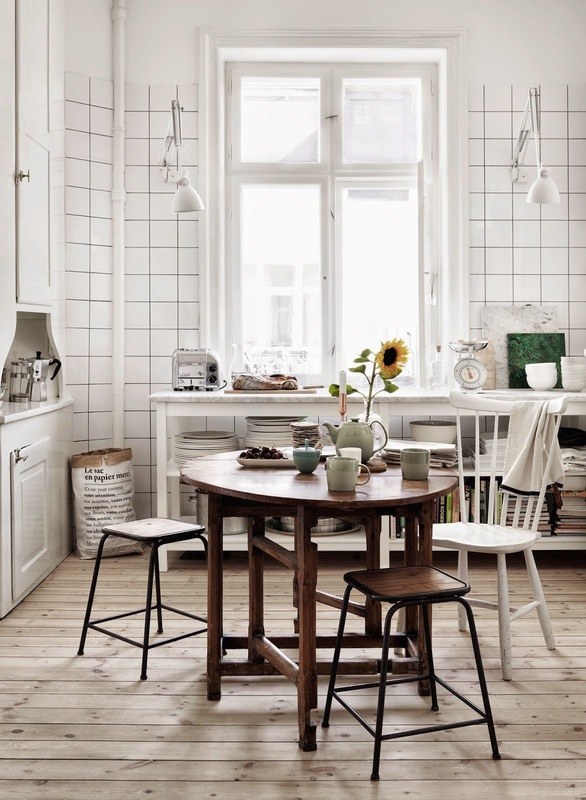 This gorgeous apartment is that of Swedish stylist Pella Hedeby. 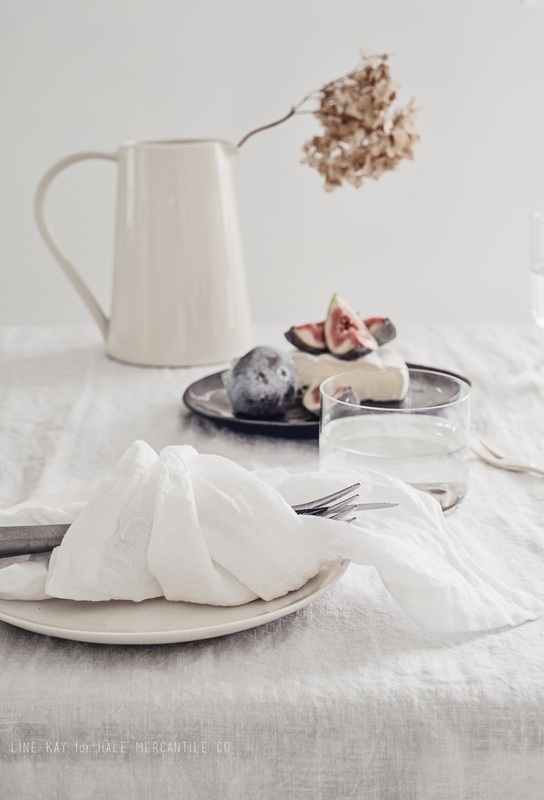 Pella is renowned for her work on behalf of IKEA Livet Hemma, Residence magazine, RUM Magazine, ELLE Decoration and for her popular blog Stil Inspiration where you will find daily doses of inspiration on interior styling, design and photography. 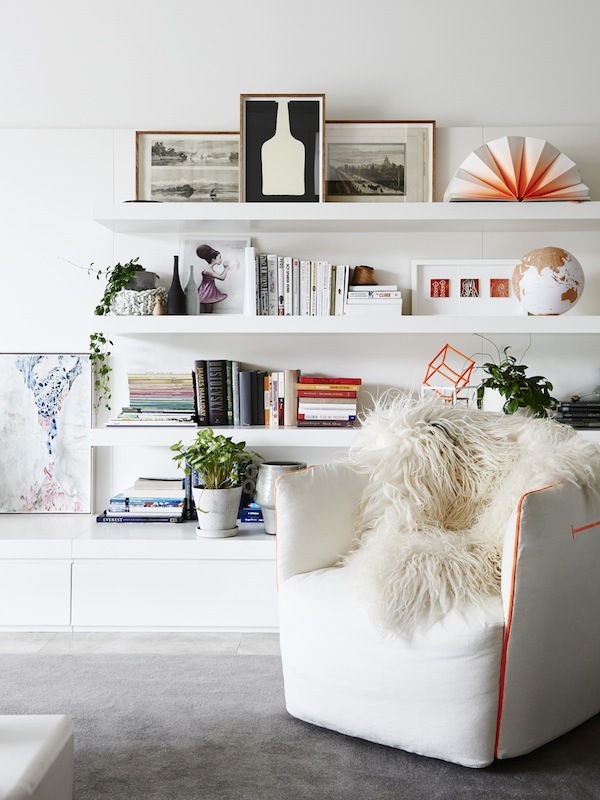 These images taken by Sara Medina Lind featured in the new MY HOME Magazine. 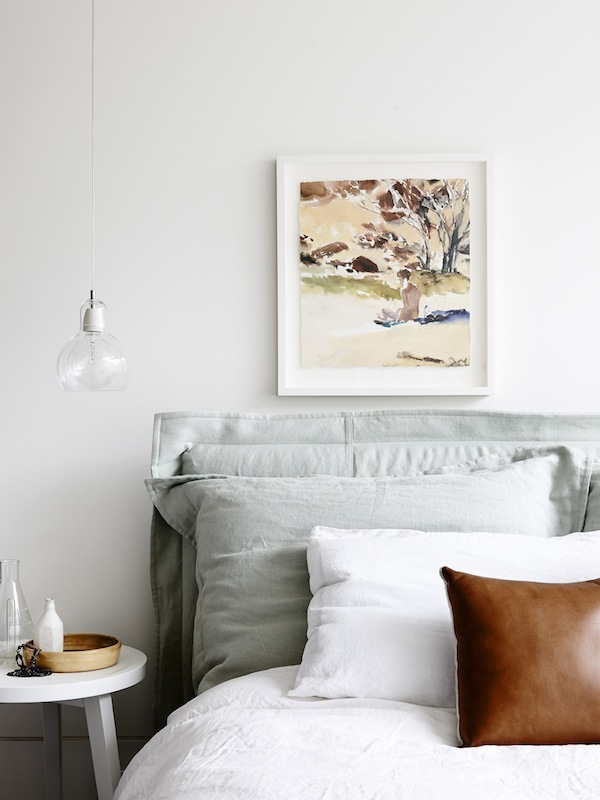 Line Kay of Vintagepiken has captured a beautiful new campaign for Australian linen company Hale Mercantile Co. Line’s beautiful images truly evoke the inherent beauty of Hale’s new collection and its stunning colour palette. We are loving this collaboration! 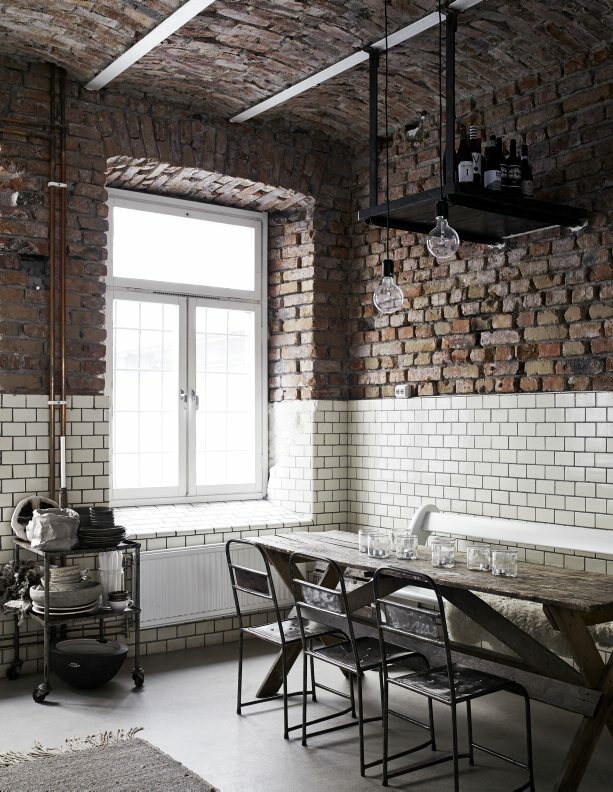 Sara N. Bergman’s Stockholm studio is a fascinating mix of exposed brick, copper pipework, concrete and tile. 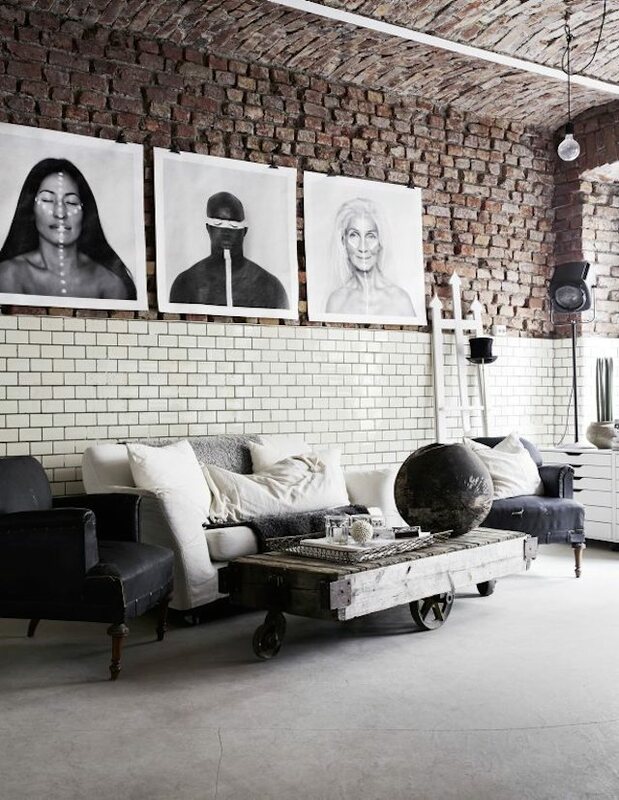 Surrounded by a carefully curated selection of treasured fleamarket finds and a clever blend of contemporary white in her choice of office furnishings Sara has loved converting this once auto workshop into an inspirational, creative hub for the Love Warriors of Sweden illustrator’s beautiful work to emerge. (Original story published in Swedish via Residence Magazine). 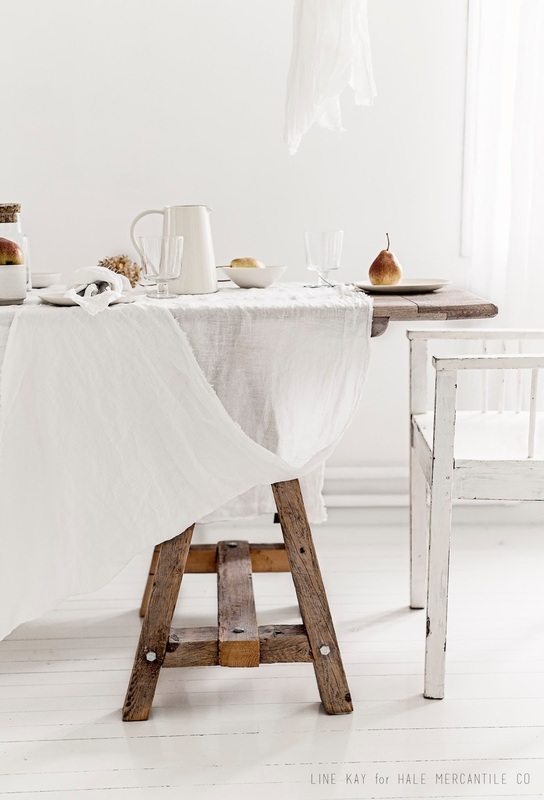 Swedish stylist Emma Person Lagerberg styled these beautiful spaces for Ahlens Magazine. Images by the talented Petra Bindel. 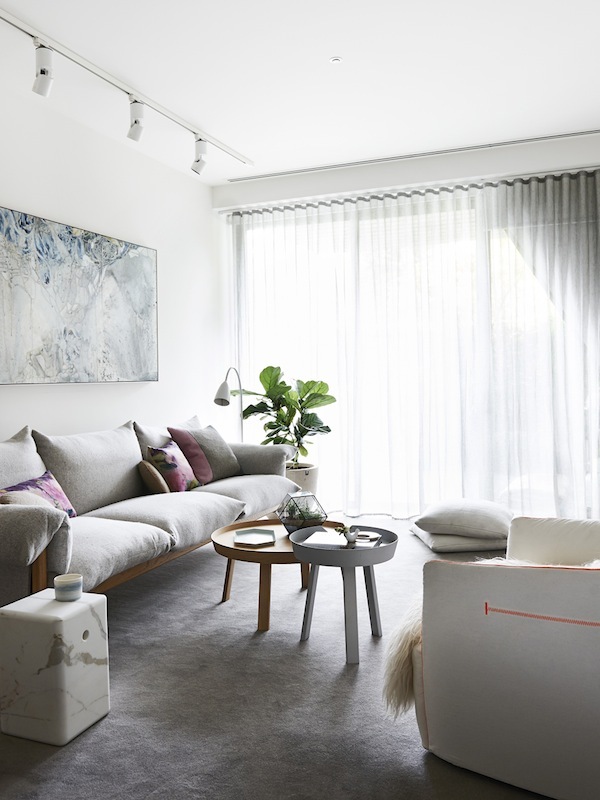 The captivatingly beautiful spaces within this contemporary apartment are designed and styled with a neutral palette and restrained use of colour but enriched with layers of texture and the very clever use of natural elements giving the owners a truly relaxing haven to return home to at the end of a busy day. 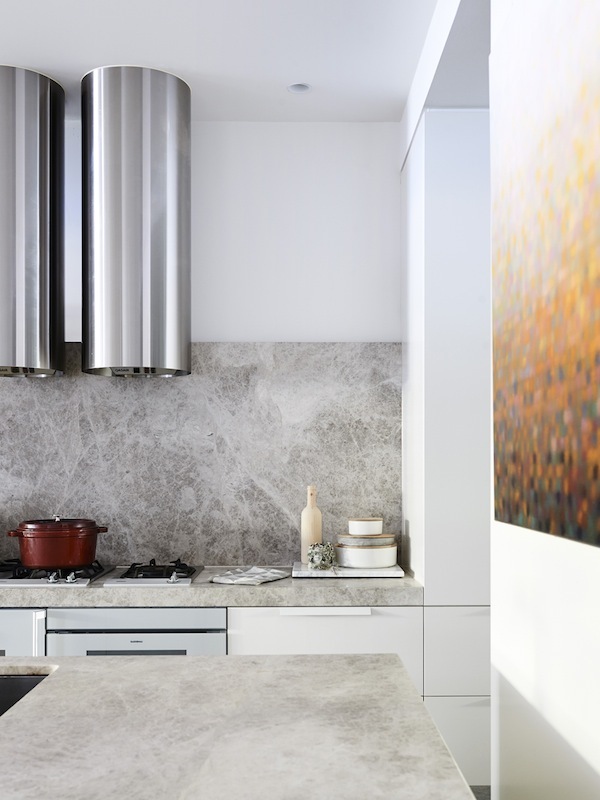 Designed by architects Woods Bagot the apartment is located in the inner city suburb of Carlton in Melbourne Australia. Owners Eddie Kaul and Richa Pant engaged the assistance of renowned interior designer Hamish Guthrie and his talented team at Hecker Guthrie to give this beautiful home a sense of harmony, light and a distinct Nordic flavour by selecting the perfect combination of furniture, lighting and artwork to reflect Eddie & Richa’s unique personalities and drawing from them new and exciting pathways of inspiration. Photography by Eve Wilson. Original story via The Style Files.